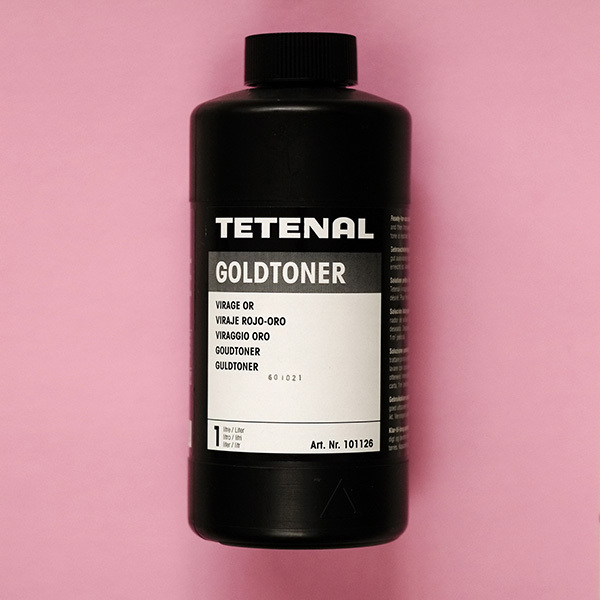 Tetenal Gold Toner 1L is a ready-to-use black and white print toner. Easy and safe to use, gold toner will change the image tone paper towards a blue-black. When used after Tetenal Sepia Toner it will give red-brown to scarlet tones. Gold toning is also a recommended archival process, second only to Selenium toning. Using it will give you stable, long-lasting prints which are resistant to environmental influences. Tetenal Gold Toner is a single solution toner which comes at working strength. There is no mixing and no measuring. After use, store and keep for use again. As it ages you will notice the toning times extend out until it is exhausted.